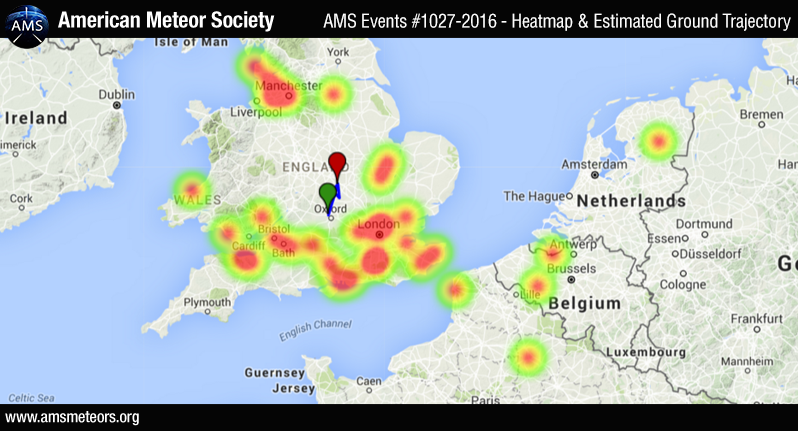 The AMS received over 45 reports so far about a fireball event over UK (England) on Thursday, March 17th 2016 at 3:16 GMT. 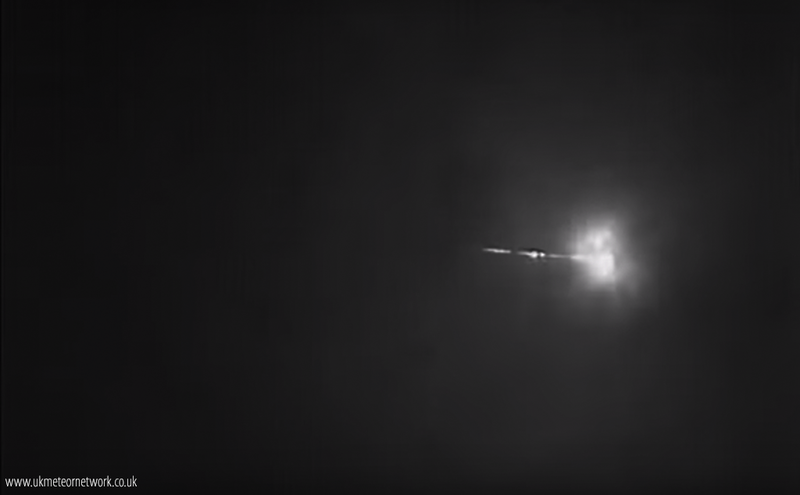 The fireball was seen primarily from England but witnesses from France and the Netherlands also reported the event. We expect more reports today. AMS Event #1027-2016 – First witnesses location and estimated ground trajectory. I saw it this morning from O’Fallon, Illinois just outside St. Louis Missouri. It was about 6:40 this morning. Went to class and another friend saw it too. Bright fireball, huge, surrounded by green fire and tail. It burned out pretty quickly once I caught sight of it. I can’t believe it could be the same one seem in England. That’s crazy! I was driving to Stl on 255 passing by the Cahokia exit and saw the same thing! I thought I was crazy bc it happened so fast! It’s so cool some one got this on tape and that you saw it as well! I’ve been looking into this event as I was awakened by a loud atmospheric noise unlike anything ever heard before. The immediate thought was – an asteroid, because of the speed it went by. The time frame is interesting. 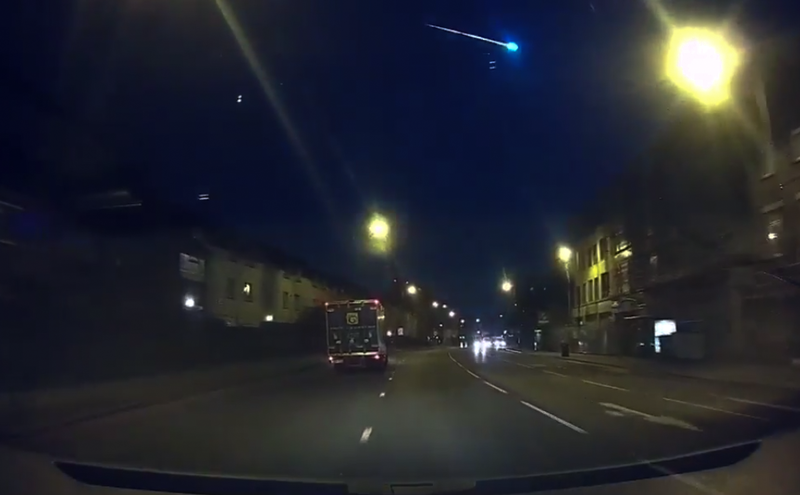 It was the exact time that the fireball was recorded in the UK. I checked the clock after hearing it because I couldn’t go back to sleep. And the amazing thing is I’m in Perth, Western Australia. Must be tuned in to the other side of the world !